Tag Team wrestling originated in San Francisco in the 1900’s but didn’t get recognition in the USA in the 1950’s. Giving birth to some of the greatest tag team wrestling teams like the Free birds, the Fantastic s, Midnight Express to the Hart Foundation, Demolition, and the Four Horsemen. Now in 2017, APWA takes tag team wrestling to the stratosphere as all the major talent takes part in tag team matches. Culminating in a tag team opportunity against the current tag champs Renegade and Mia Von Doom. Teams that will be taking part include the French Connection Thierry and Zizou Midoux, the Legion of Loudness (Kyle Ripley and LoudMouth) the African PitBulls (TK and Masonic Crisis) as well as Blizzard, Rooi Willie, Nyanga,UItimate Na\than, Super X and Matthew “the Assassin” Hammar WWP Womens Champion Black Widow as well as Renegade and Mia Von Doom, the current APWA TAG TEAM CHAMPIONS. And, as an added bonus all matches will be announced on the day so now even the competitors know who they will be facing. Excited? 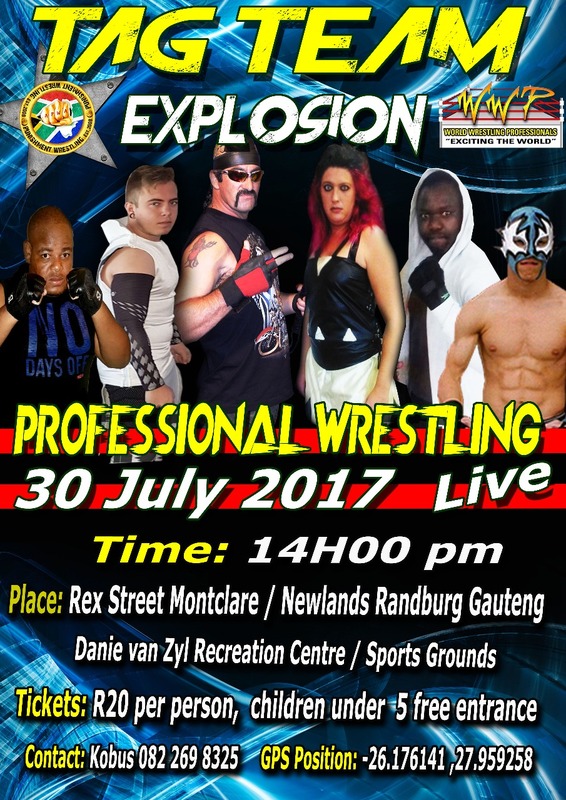 YOU SHOULD BE AS THIS IS A FIRST FOR SOUTH AFRICAN PRO WRESTLING. 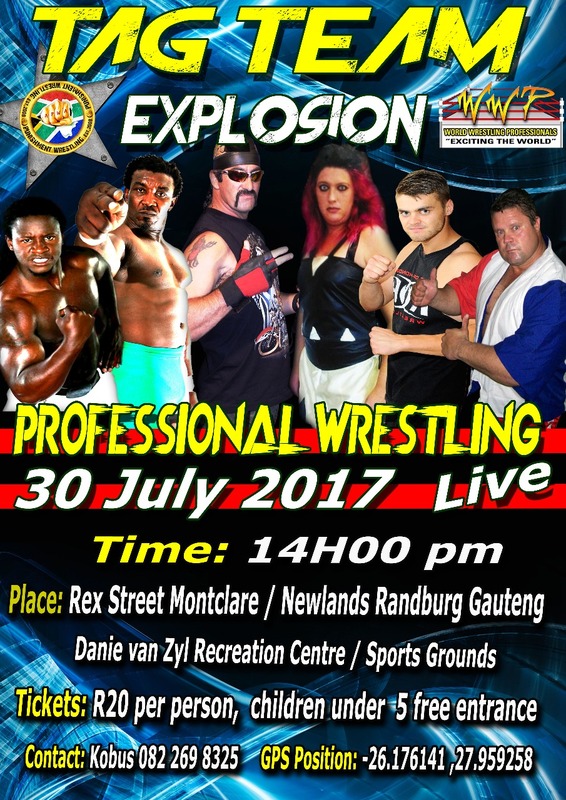 30th of July, 2 PM tickets are 20 rand tickets available at the door from 1:30. Danie van Zyl recreation Center, car Rex and Plantation Roads Montclair.